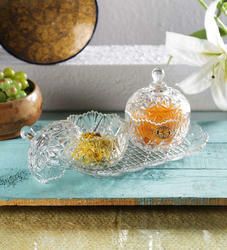 We are involved in offering a wide range of Crystal Dish to our most valued clients. Our range is widely appreciated by our clients which are situated all round the nation.In addition, we can also customize these products as per client requirement and offer them at market leading prices. 02.272 Dishes Crystallizing, “LABOGLASS with/without Spout. 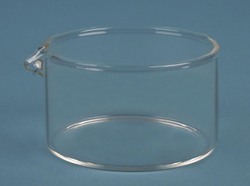 2 Pcs Crystal Pot, Size: 3.5"
- Dishes, Evaporating, with Spout.